Want to react faster in Fortnite Battle Royale by playing it with the best FPS gaming mouse? Do you want to know what is the best mouse for Apex Legends so that you can enhance your shooting skills? Don’t worry. We have an answer to all your questions as we are here to discuss some of the gaming mice that you should check out to enhance your gaming experience. Fortnite Battle Royale is a shooting game where you have to eliminate your opponents in order to win the Battle. Having a good reliable gaming mouse is crucial when it comes to competitive gaming. Now, it depends on the skill of a player but an FPS mouse plays a very significant role in making fast and accurate movements. An ordinary mouse don’t do the trick because it doesn’t have enough technical features, like high DPI or Polling rate. Having the choice to bind heavily used functions to additional keys on your mouse is also a significant upgrade. Keeping the importance of an FPS gaming mouse in mind, we have decided to review some of the top gaming mice for you so that you can deliver like a pro while gaming. These mice will provide you with some awesome features, including a smooth gameplay experience. The gaming mice we have listed and compiled for you are properly tested and researched on the basis of their performance, speed, DPI and user rating so that you can make a decision, right here, right now. Without further time delay, let’s take a look at some of the FPS gaming mice in our comprehensive review here. Logitech G502 is the winner of gaming mice to play video games with. The gaming mouse has got many features and is available at a reasonable price as well. The reason for this mouse being the greatest is its many programmable buttons, fast speed, high DPI and lightweight construction. Let’s take a look at some of the key features it comes with. The features that this mouse provides are fantastic. The mouse is stylish, has 11 buttons, a fast scrolling wheel, a high DPI resolution and is perfect to fit for any hand. So, these are some of the reasons for getting it. Gaming Sensor: The mouse comes in with an advanced power optical gaming sensor which is the Logitech’s most accurate gaming sensor. The gaming sensor enables you to translate the hand movements precisely while you aim to shoot at your opponents. Weight: The mouse comes with an adjustable weight system. So you could make your mouse lighter or heavier, depending on your personal preference. The 3.6 G mouse fits the hand like a charm. Resolution: The mouse has got a DPI range of 200-12000 which is exceptionally high. You can adjust the resolution according to how quick you want in Logitech’s gaming software. Programmable buttons: The mouse comes with 11 programmable controls which ensure a creative gaming experience. Other than that, it has an adjustable hyper-fast scroll wheel for fast and accurate manoeuvres. Other Features: Other features include RGB lighting, Logitech Gaming Software, customised lightning, surface tuning and other options making your gaming experience more advanced and enjoyable. 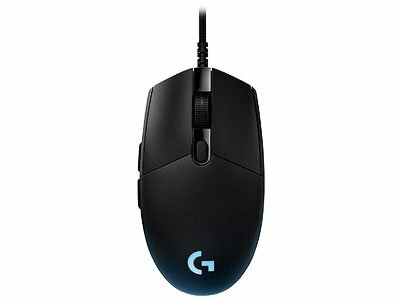 Logitech G502 is an amazing gaming mouse for gamers, including many professional players using it. With a quite low price compared to other gaming mice, there is a lot of value in this mouse. Let’s have a look at the pros and the cons. 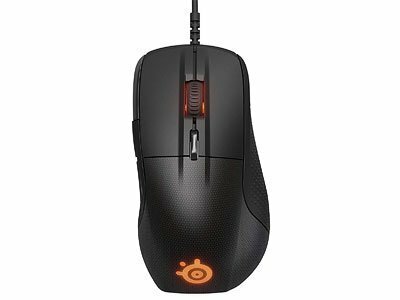 SteelSeries Rival 700 is another versatile FPS gaming mouse with many impressive features which is especially suitable for sharpshooters who want to track down their opponents with precise movements. The most important thing about this gaming mouse is its modern and simple design. The high-quality materials make it more unique and sturdy as well. It is perfect for a larger adult hand as well so that you won’t face any issues. Let’s take a look at some of the key features it comes with. SteelSeries Rival 700 is the FPS gaming mouse for gamers who want to take their gaming experience to a whole next level. The gaming mouse has got a simple yet unique design and is loaded with some premium features that’s why it’s a bit pricey, but the price is entirely justified. OLED Display: The gaming mouse comes in with a vivid onboard OLED display on the side of the mouse itself, which gives a unique, eye-catching look. It enhances your gaming experience where you can have it to display a custom message, current ammunition or health. Tactile Alerts: Rival 700 comes in with a physical alerts feature which allows you to feel the game and makes your aiming and movement of the cursor more comfortable and accurate. It has got a 50g acceleration and a polling rate of 1ms(1000Hz). CPI: The mouse resolutions are based on CPI, and it has got a CPI resolution of 100 to 16000 which enhance the movement speed of the cursor. On the other hand, RGB illumination is also present which makes it more vivid. Optical Sensor: Rival 700 comes in with a PMW3360 gaming optical sensor which allows you to out-perform your opponents in games. Other Features: Other features include swappable parts, custom nameplate option, customizable OLED panel, real-time stats and on the fly customisation. Well, the mouse is simple but yet has many advanced features. Its greater CPI resolution, OLED panel, and swappable cable parts are some of the reasons to fell in love with it. Some of the pros and cons are as follows. OLED panel with real-time game stats. Logitech has been leading the world of producing some advanced gaming mice for its customers, and the new Logitech G Pro is no exception. The gaming mouse has got some impressive features with a smooth design. Let’s catch a peek at some of the key features it comes with. Logitech G Pro is one of the simplest, yet most advanced featured FPS gaming mouse for gamers. It allows them to aim down their opponents like a Pro. Go for it if you need a good gaming mouse in a moderate price range. DPI/Gaming Sensor: The mouse comes in with an advanced gaming PMW3366 sensor with a DPI range of 200-12000 which is perfect for high accuracy movement while playing fast-paced games. Metal Spring Button: The metal spring button tensioning system is created particularly for gamers who want a reliable and consistent clicking performance. Programming Buttons: There are six programming buttons available which allow binding your most used functions for easy access. Other features: Other features include RGB lighting with 16.8 million colours, advanced gaming sensor, onboard memory and Logitech gaming software for managing the mouse efficiently. The gaming mouse allows you to play fps games with ease. It tracks movement with just a blink of an eye and will give you a perfect accuracy as well. These are some of the reasons for having a look at this gaming mouse. Let’s have a look at the pros and the cons. Razer has been in the town for many years, and it’s producing some of the top gaming laptops, headphones and other gaming accessories for its customers. But can they create a solid gaming mouse for the gamers as well? Absolutely. The DeathAdder Elite is an FPS gaming mouse which has got the attention of many players for its minimal design and some impressive features. Let’s take a look at them. Razer DeathAdder Elite is a perfect gaming mouse meant to be used by gamers to outclass their opponents by taking them out precisely. Go for it if you need a mouse with the most precise gaming sensor in a reasonable price range. Ergonomic Design: The gaming mouse has got an ergonomic design which makes it fit entirely on the hand for a great gaming experience. You can make smooth, accurate movements at your opponents with the help of this gaming mouse. DPI/Optical Sensor: The gaming mouse comes with a high resolution. It has got a 16000 DPI resolution and a 5G optical gaming sensor. These two features combined give you 99% resolution accuracy. You are in control of the movements at all time. Razer Mechanical Switches: The Razer mechanical switches are something to bring up for this particular gaming mouse. They are durable for up to 50 million clicks according to its manufacturer, which means they will last for a couple of years with optimum performance easily. Razer Chroma: Razer Chroma powers DeathAdder Elite with almost 16.8 million customizable colours, allowing you to adjust the colour of the scrolling wheel and logo according to your preferences. Other Features: Other features include programmable buttons, most precise optical sensor, two extra buttons near the thumb etc. Razer won’t disappoint you ever. Its name is enough for you to check out the mouse with closed eyes. However, with the most precise gaming sensor, high DPI, and Razer Chroma customisation are some of the reasons for going for this FPS gaming mouse. Some of the pros and cons are as follows. Wired mouse is a problem for some gamers. Slightly bigger gaming mouse which might not fit everyone. Corsair M65 Pro is a wired gaming mouse with many advanced features perfectly suitable for gamers who want to take down their opponents in the game with precise actions. The mouse has got a bright black, and it has got a unique design as well. All the construction in it is of high quality, and we will discuss its key features one by one below. Corsair M65 Pro is the best budget gaming mouse for gamers in a low price range. So, go for it, if you need a perfect wired gaming mouse in a cheap price range. DPI/Gaming Sensor: The mouse comes with a 12000 DPI range with a custom tuned, gaming grade pixel precise sensor for perfect movements and accuracy shots. Structure: The mouse is made with an aluminium craft grade material, which makes the mouse lightweight and easy to use at the same time. Advanced Weight Tuning System: The mouse comes with advanced weight tuning system. Here you can set the centre of gravity of the mouse according to your needs for a better gaming experience. Optimized Sniper Button: The mouse comes in with a unique sniper button which allows you to switch through different DPI modes to match the mouse speed with the situation of the gameplay instantly. Other Features: Other features include harness power cue, eight programmable buttons, high-capacity Omron switches with 20 million clicks etc. A mouse with so many features in this budget price range is tough to find. All these features available at a very affordable price will satisfy your needs with this FPS gaming mouse. The pros and the cons are as follows. BenQ Zowie EC2-A is an expert gaming mouse specially designed for FPS gamers who want to enjoy the shooting games with smooth accuracy. The gaming mouse has got a minimal design and comes in with powerful features. Let’s get a glance at some of the features it arrives with. BenQ ZOWIE EC2-A is specially meant for FPS gamers. It allows them to aim correctly and accurately so that they can take down their opponents with ease and confidence. Go for it if you need a simple and advanced FPS mouse in a mid-price range. Ergonomic Design: The mouse comes in with ergonomic right-hand design which completely matches the hand. It fits well especially when you have got bigger hands. Plug and Play: There are no drivers needed to set up this gaming mouse. You just need to plug in the mouse, and you are good to go. DPI: The mouse has got a DPI range of 400 to 3200 which is quite low compared to other gaming mice, but it works fine for most gamers. You can switch between different DPI modes according to your needs as well. Buttons: There are five programmable buttons available in this gaming mouse which allows you to organise and manage the game with complete control. Other features: Additional features include a 16-step scroll wheel, adjustable USB report rate, and 2m cable length. The design of the gaming mouse is straightforward. It has got some features that are suitable for gamers so that they can improve their gaming experience. These are some of the highlights for having a look at this gaming mouse. Many gamers don’t like wired gaming mice because they think that wires are a completely in the way, and they cannot make smooth movements with a wired gaming mouse. Well, this is not much true but a wired mouse might affect your shooting skills, and it can be a mess sometimes too. To avoid this problem, Logitech G900 is there for you which is regarded as the top wireless FPS gaming mouse because of its advanced features. The mouse has got a stylish design and looks perfect on the hand as well. Let’s take a look at some of the key features it comes with. 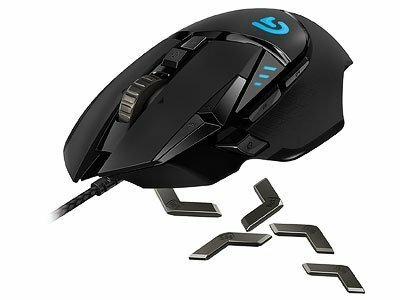 Logitech G900 is a great wireless FPS gaming mouse for gamers who want to get rid of the wired gaming mouse. The mouse comes in with an advanced gaming sensor and many other features as well. So, go for it if you need a perfect wireless gaming mouse in a reasonable price range. Wired/Wireless: The mouse can be used as wired or wireless depending on your personal preference. Logitech has given you the choice to choose the type of gaming mouse you need and want. You can quickly switch from wired to wireless with a simple move. Gaming Sensor: The mouse comes in with one of the most advanced gaming sensors. The PMW3366 optical sensor is right now one of the top gaming sensor available on the market trusted by many pro gamers and gaming enthusiasts. DPI: The mouse has got a high DPI resolution. You can set and customise the DPI resolution according to your needs. The total DPI is from 200 to 12000 which is quite exceptional for an FPS gaming mouse. Battery Life : (32 hours/1 charge) Logitech G’s exclusive battery savingThe mouse has got a worry-free battery life. It outclasses the ordinary wireless mice with its extravagant and prolonged battery timing. The Clock Tuning Technology allows you to play games throughout the whole weekend with one single charge. Other Features: Other features include customizable RGB lighting, physical button layout, pivot button design, 11 programmable buttons and ultrafast scrolling wheel. If you are more interested in buying a wireless gaming mouse, Logitech G900 is the perfect choice for you as it has the same sensitivity as that of wired gaming mice and comes in with other advanced features as well. Some of the pros and cons are as follows. So after reviewing some of the most popular gaming mice for gamers, we hopefully helped you in your search for a gaming mouse. One depending upon your requirements and features as well. The gaming mouse adds more accuracy and comfort to the hand while you play the games, and without them, it is challenging to keep up with your competitors. So, you ideally want to acquire a gaming mouse if you’re going to outclass your opponents in gamers. If you want our recommendation, we will recommend you to buy the Logitech G502 as it’s the best gaming mouse in an affordable price range. So, make up your mind and stylishly win more games!